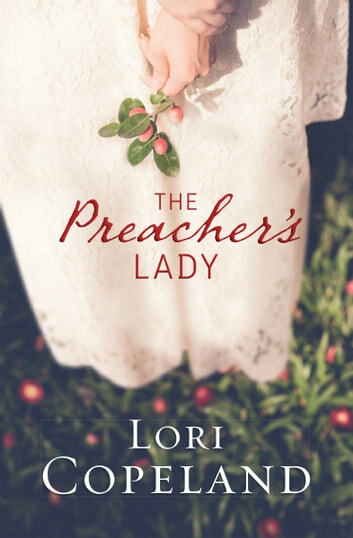 Acclaimed author Lori Copeland spins a tale of hope, understanding, and faith when God seems silent. It's 1855, and Elly Sullivan works on her family cranberry farm in Wisconsin. She's pledged her unending love to Bo Garrett. At seventeen, Bo rides off for a month—just a month—to see a little of the world before he settles down with Elly. He falls in with the wrong people and the wrong life. His promises to Elly and the Lord are forgotten in a misspent youth. Eight years too late, he returns, having come to the end of himself and having rededicated his life to God. Can Bo convince Elly they were meant to be together despite all the bumps in their path? A sweet love story of two young people torn apart and brought together again years later. With promises broken and pain to difficult to let go, these two souls have along road of self-reflection, forgiveness and acceptance to travel before they can decide if they want to give their love another try. Bo Garrett Loves Elly Sullivan with all of his heart and knows that she is the woman he will marry and live his life with. When Bo decides he wants to go and experience some of what lies outside of their home, he promises he will return for Elly in a month. But he doesn't. Bo falls into the wrong crowd and soon finds himself living a life of drinking, women and so much more sin. But then God gets his attention in a very blunt way and Bo wakes up to what life should be for him. Bo finds a church and soon becomes a preacher, something Elly who has fought with God all her life had asked him not to do. Bo stays away from home for seven years until his Mother calls him home and he is then forced to face the pain he has caused others especially Elly. Will she ever forgive him? Elly Sullivan wanted nothing more than to be Mrs. Bo Garrett and run their family cranberry farms. She trusted Bo to come after he had his fun, but when it didn't she lost her trust in him, but more importantly in God. Trusting God and holding onto faith in Him has always been hard for her. The Reverend preached of fire and brimstone when she wanted to have a loving God to believe in. When Bo comes home, Elly must work through the pain, lack of trust to see God's plan for her. What she didn't expect was have a little help in that direction from Bo himself. Just when she thought she had it all figured out, Elly comes face to face with yet another betrayal from Bo, one that cuts deeper than any other. A wonderful story of redemption, forgiveness and unrequited love finding a new beginning. God has promised to make something good come from the pain. Ms. Copeland has written a beautiful story showing that promise. A love so strong that it withstood the awful pain of betrayal. I truly recommend this book as a heart warming story that is worth reading. I received this ebook through Netgalley in exchange for my review.